home → Loans → Loan Basics → What is the 504 SBA Loan Program? What is the 504 SBA Loan Program? The 504 SBA loan program is a loan program that is designed to help small businesses grow and expand. Here are the basics of the 504 SBA loan program and how it works. With this type of loan, businesses can use the funds that they receive to expand their current business. They could potentially use the money to buy new equipment, purchase additional land, or expand their building. Anything that has to do with expanding the business could be covered with the funds from this type of loan. In order to qualify for this loan, your business is going to have to meet the requirements that are set forth by the SBA. This means that your business is going to have to fall into certain size limits depending on the industry in which you are in. If you are too big, your business is not going to be able to qualify. 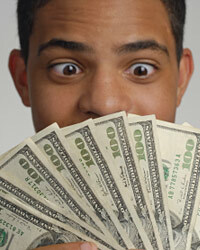 Getting this type of loan is going to allow you to get a very competitive interest rate. Another benefit of the 504 SBA loan program is that you will be able to be approved easier because the SBA is going to be standing behind the loan.